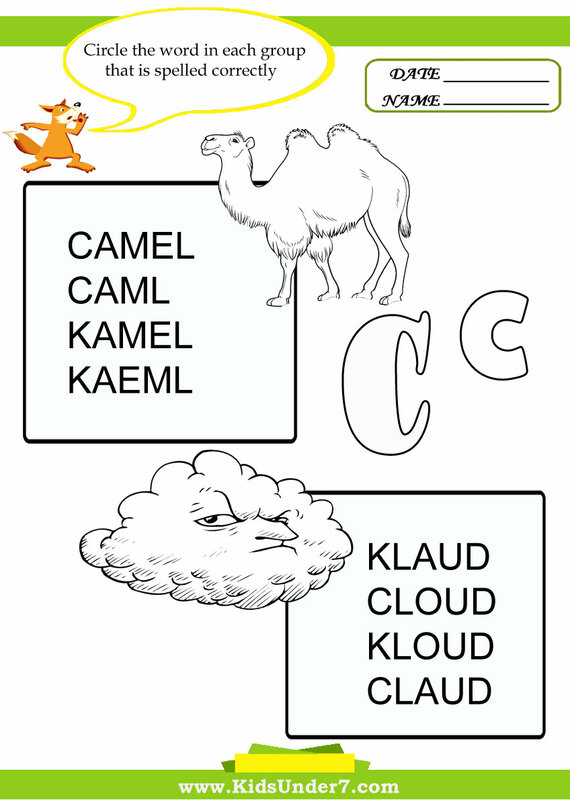 Correct spelling of letter C words. 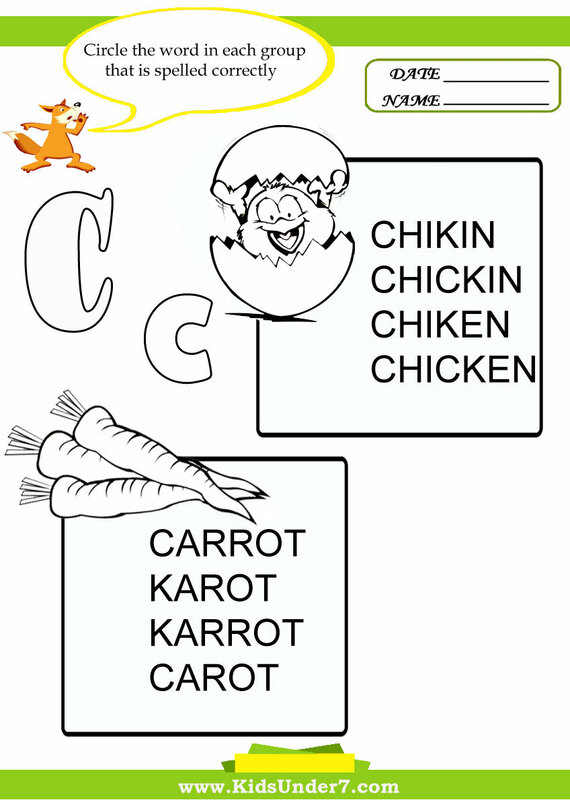 Word recognition.I'm Learning to Spell.Letter C Worksheets and Coloring Pages.Correct spelling of letter C words.Parents and teachers utilize these letters of the alphabet worksheets to review skills and supplement classroom material. 1. 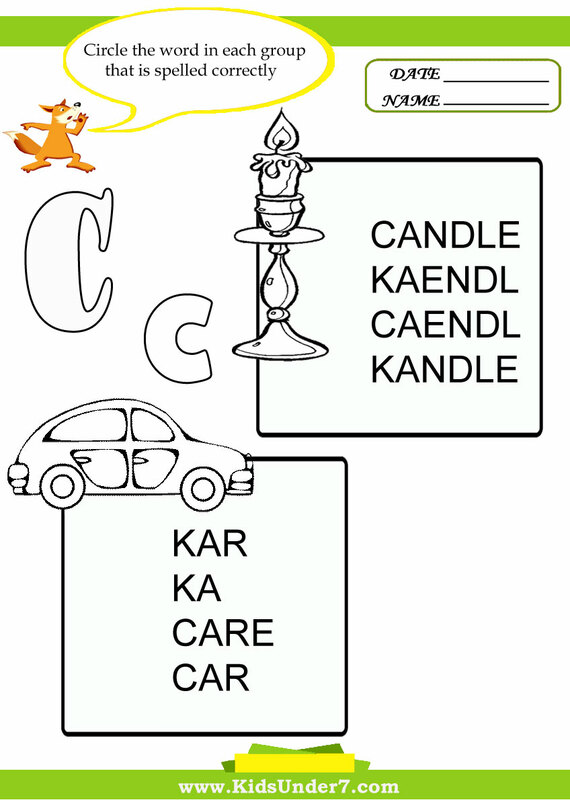 These words begin with the letter C.Find the words that don`t belong.Circle the word in each group that is spelled correctly. 2. 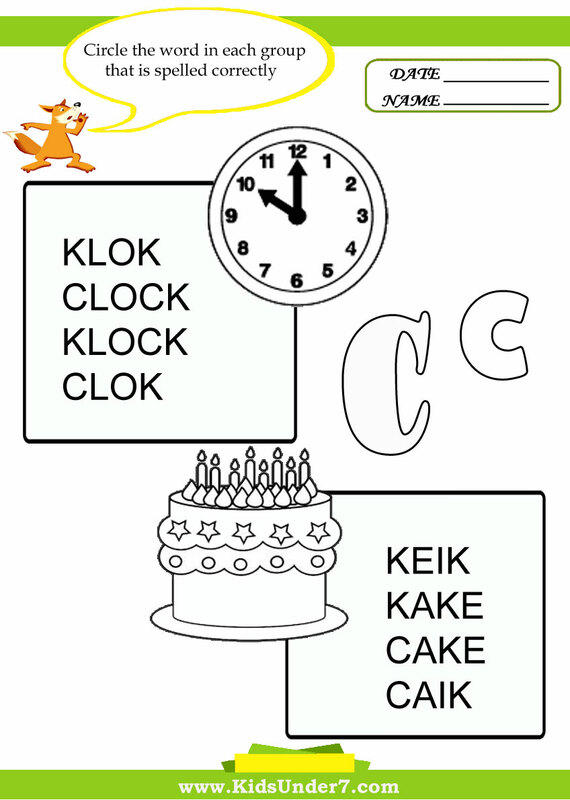 Letter C.Circle the word in each group that is spelled correctly. 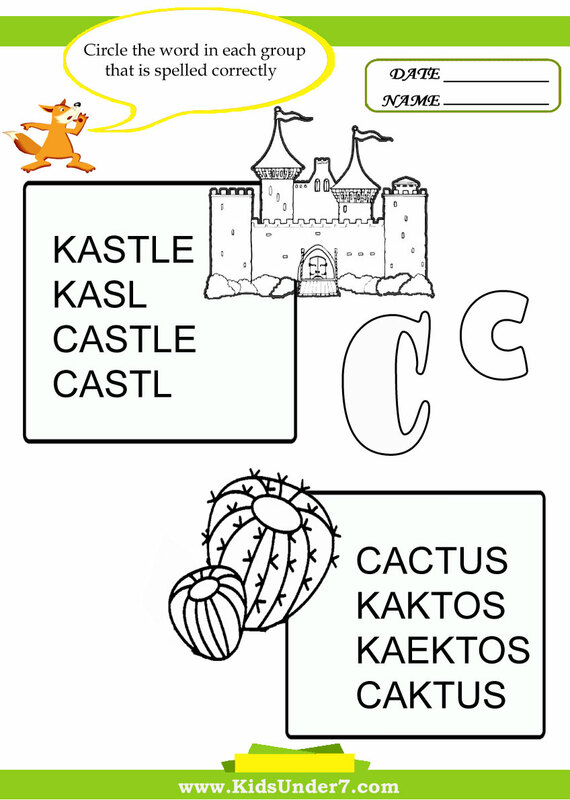 Circle the correct spelling of the words that start with C, and then color the picture of the word. 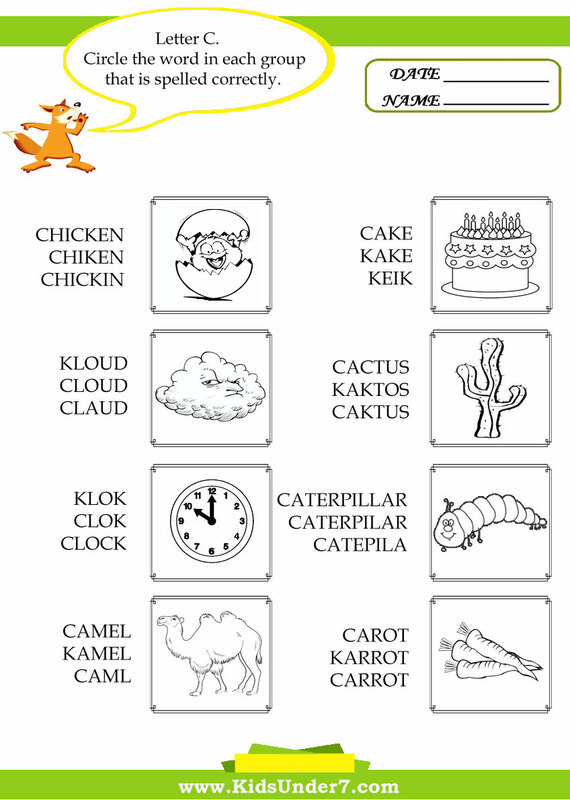 The words are Сlock, cake, Candle, Car , Сastle, cactus, chicken, camel, cloud, carrot, caterpillar.